Shamokin, PA Mayor Bill Milbrand has been arrested and charged in connection with the alleged disturbance and vandalism of burial sites in order to build a cellphone tower, while ironically, also serving as the board president of the cemetery. Police said photographic evidence backs the charge while a site contractor claimed he graded and prepared the area under Milbrand's direction. "Milbrand advised him that he checked the cemetery maps and the area is clear of any gravesites. ... Milbrand advised him where to dig and assured him there were no gravesites in that area," Shamokin Patrolman William Miner wrote in arrest papers, according to The Daily Item. Milbrand was arraigned on Tuesday and faces 42 counts, including 14 felonies of institutional vandalism of a cemetery on Tuesday. The other counts are misdemeanors of desecration of a grave and destruction of historic burial lots. He was released on $20,000 unsecured bail. 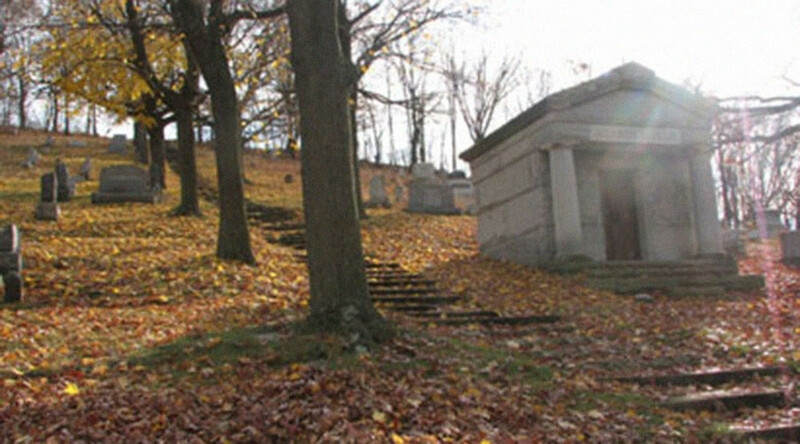 The graves date to 1919 and involve many burials from the same families. The mayor has denied the charges, saying he had little involvement in directing the project, and would seek legal advice. "If there were graves disturbed, it was unknown to me," Milbrand told The Daily Item. Residents had become concerned that construction work was damaging headstones, leading them to speculate if the tower was being built over actual graves, triggering an investigation by police after photos surfaced. Milbrand announced last year the board had voted to allow a cell phone tower to be built at the cemetery to generate $900 a month in revenue for the cemetery’s upkeep. The board was interested in hiring a permanent caretaker as volunteers currently maintain the site. "I think it's sad when they, because of your position, things are made bigger of when you're arrested, you know? No matter what it's for. I think it's said that he said they weren't going to mess with the graves and they did," Shamokin resident Kathy Stadnicki told WNEP. There are more than 16,000 people buried in the location which spans 20 acres. The cemetery has been around since 1860, though there haven't been many burials there recently. "With us not having many burials, we don't have a lot of income coming in," Milbrand told WNEP in July 2016. Milbrand said at the time Shamokin residents were concerned that the contractor was moving or damaging gravestones, but added that was not the case. "There are no graves being disturbed what-so-ever. We got a little close to one up there, but I've been here on site almost every day," Milbrand assured residents.